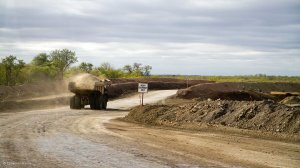 JOHANNESBURG (miningweekly.com) – The Department of Environmental Affairs (DEA) has granted Coal of Africa Limited’s (CoAL’s) Vele colliery, in Limpopo, an amendment of the environmental authorisation in terms of the National Environmental Management Act and the Environmental Impact Assessment Regulations. This amendment was the first of several required to allow the company to make planned modifications to the colliery’s processing plant and was a step toward the project achieving the full regulatory compliance required for construction to start. CoAL CEO David Brown welcomed the DEA’s decision, adding that the group would await the receipt of all regulatory approvals before starting with the modification of the plant. The company had also sought a renewal of its integrated water use licence (IWUL) and its amendment. The current IWUL would expire in March 2016 and the company felt it was prudent to renew this licence prior to committing further shareholder funds to the project. The approval of the renewal was expected in the second quarter of this year. “We will continue to engage with regulatory authorities and other stakeholders at Vele as we continue to set a new benchmark for the coexistence between mining, agriculture and heritage land uses within the area in which we operate. “This period also gives the company further time to assess the outlook for coal prices. Discussions continue with appropriate end-users regarding offtake agreements,” he commented.